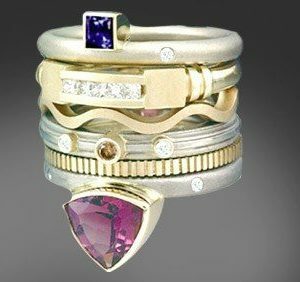 Geometric contemporary wedding rings are your unique style. 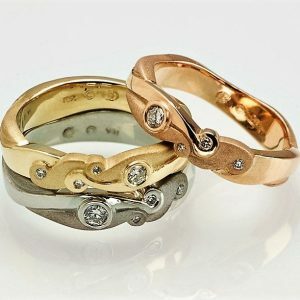 Perfection in geometric lines and curves can be enhanced by diamonds and gemstones to create your own custom ring. 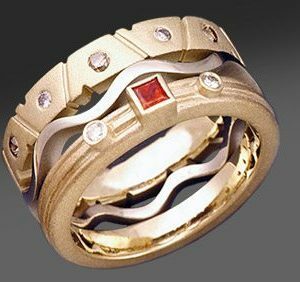 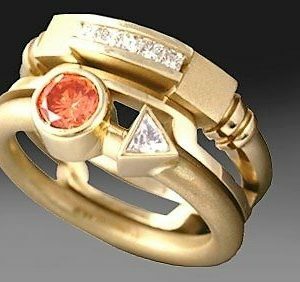 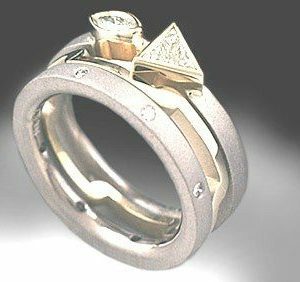 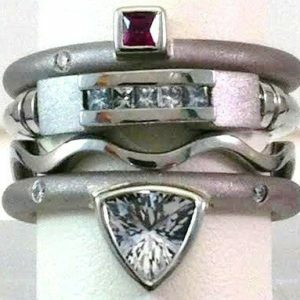 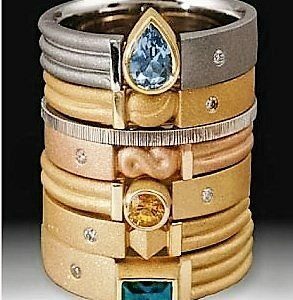 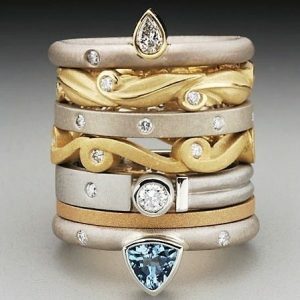 Unique contemporary wedding and engagement rings are actually your own creation because you select your own components for a complete ring. 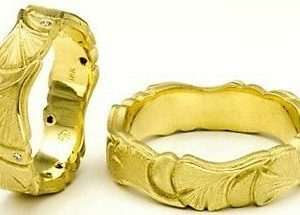 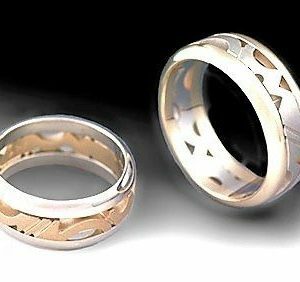 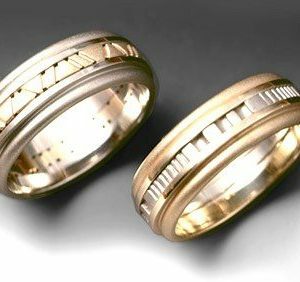 You select the main center design in any color of gold and texture, and then add rims in a contrasting colors or finishes. 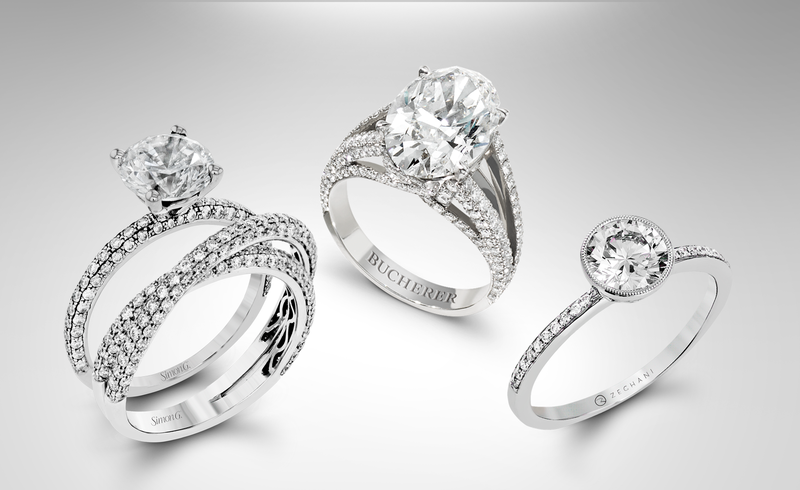 Sparkling diamonds add spice and surprise.